Studio Manager 12 is scheduled to release Thursday or Friday this week. 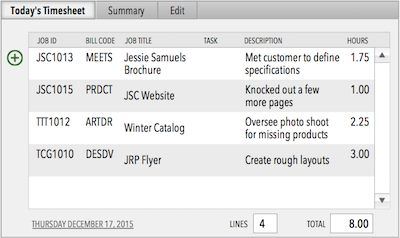 We have several reports plus Invoices and Estimates for your iPhone or iPad! I am amazed. I first built the iPad versions and today found that those same scripts run flawlessly without alteration on my iPhone 5. 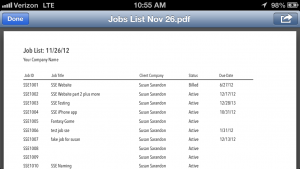 I just added the Job Status, Job Detail, Job List and Task List to the iPhone Jobs screen. 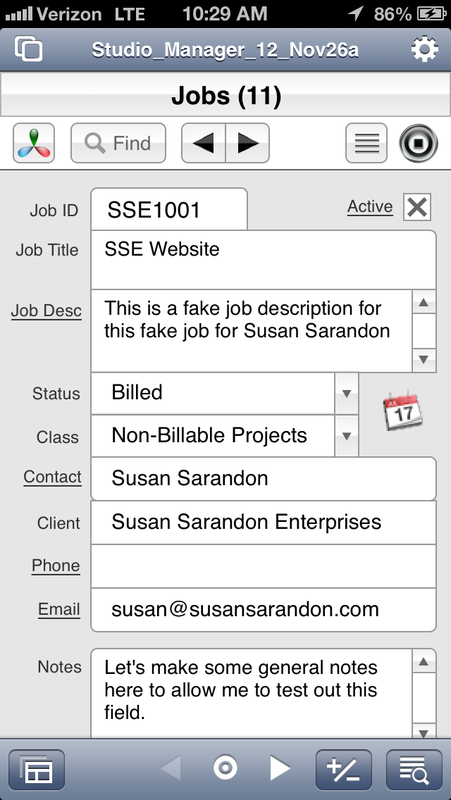 The Reporting bar is at the bottom of a scrollable Jobs entry screen on the iPhone. 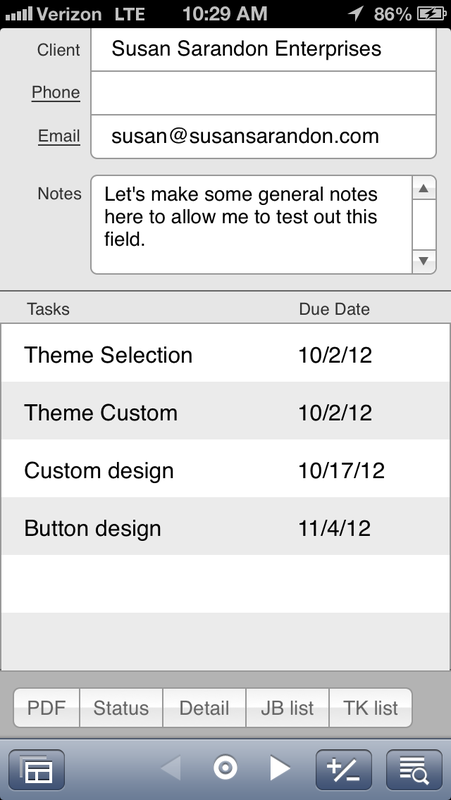 See screenshot 2 for the rest of this entry screen. 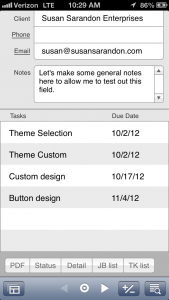 You can see there is also a scrollable portal showing tasks that are still to be completed on this job as well as a notes field. 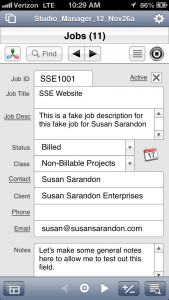 Also, don’t miss that the phone and email labels are underlined and if tapped will dial your iPhone or create a new email to the job contact in your Mail app. You may want to surf to this page on your iPhone to get the full effect. These two screenshots do blow up to full size retina when clicked or tapped. 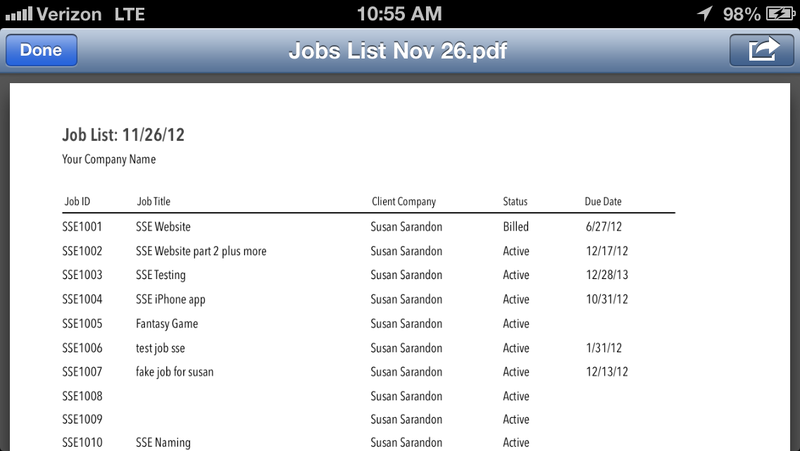 Below is the active Job List screenshot from my iPhone in landscape. Tap from your iPhone and view in landscape for the full experience!